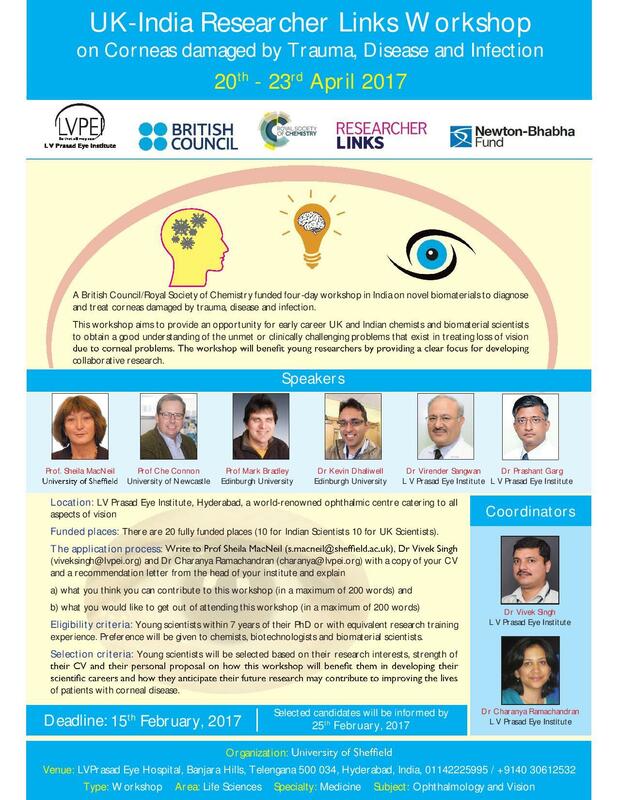 The workshop aims to provide an opportunity for early career UK and Indian chemists and biomaterial scientists to obtain a good understanding of the unmet or clinically challenging problems that exist in treating loss of vision due to corneal problems. The workshop will benefit young researchers by providing a clear focus for developing collaborative research. Listed on 31 Jan 2017.